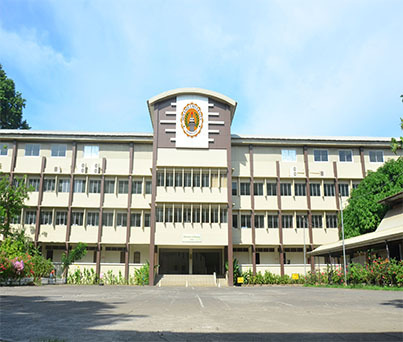 Misamis University has risen from her humble beginnings in 1929 as Kolambugan Academy, a pioneering private high school in Lanao Del Norte, The campus was later moved to Misamis (now Ozamiz City) and was renamed Misamis Institute and subsequently, Misamis Colleges. In 1977, she gained her university status and became Misamis University. As an engine of quality education in Mindanao, MU propels every student towards real success being God-fearing, principled, socially-responsible, service-oriented, environmentally-concerned, and globally- competitive. The University’s engagements in research, community extension, and instruction form the University’s framework in her delivery of quality education. These efforts gained honor and distinction as being the first and only University in Misamis Occidental and Northwestern Mindanao to be granted Autonomous Status by the Commission on Higher Education and the first ISO 9001:2015 certified University in Mindanao by DNV-GL, The Netherlands. Misamis University takes pride to be accorded with these prestigious achievements as a recognition to her determination and collective effort in paying back the trust of the students and their families in choosing the university in attaining education. With the implementation of the Outcomes Based Education, MU continues to wave the banner of commitment in responding to the national call for quality graduates and in providing for the global demand of world-class Filipino professionals.